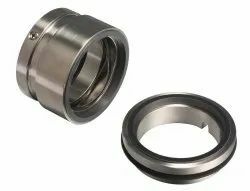 These seals designed with wave spring to handle abrasive, slurries, slides, sewage and viscous fluid. 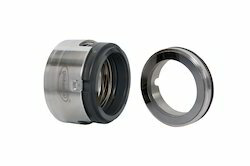 Major advantage of this seal is that it is compact, axial length but no sticking or clogging. Supported by trained personnel, we are readily instrumental in presenting a comprehensive spectrum of Wave Spring Seal. - We are reckoned for manufacturing and exporting an perfect range of wave spring seals, which are engineered for handling dirty & mild slurry application which are used in sewage, bulk drug, chemical, rubber & polymer industries. Wave Spring seals are bi-directional and commonly used in lobe pumps working with high viscosity liquids. Typical industry usage is dairy, brewery and pharmaceutical applications. Compact in design these seals can be utilized in smaller stuffing boxes. U5027/B5027 series of Seals are Wave Spring designed Balance & Unbalance seal, they are designed as independent of direction of rotation, for all application, their compact design are easy to install & easily to maintenance, all parts are interchangeable.